This week, dumbfounded Americans alarmed by the Super Tuesday results took to Google in droves, driving up searches on how to move to Canada and shining the spotlight on a country viewed as a utopian alternative to a Donald Trump-led future. In recent months, the election of a young, good-looking prime minister, whose first orders of business were to welcome Syrian refugees with open arms and legalize pot, have also helped re-energize the reputation of a country that has largely been viewed on the international stage as America's sleepy neighbor. Here's a rundown on why 2016 is the year to visit Canada, whether you're a disgruntled American ready to make good on your promise to move country; or you may not be serious but enamored with a country whose leader has been called the anti-Trump; or just a traveler looking for a cheap and cheerful vacation in a burgeoning travel destination. What started out as a cheeky campaign by a Maritimer in Eastern Canada has become a viral sensation and an official, new marketing campaign for Tourism Nova Scotia. Created by a local radio host, the site “Cape Breton If Donald Trump Wins” invites Americans to move to the island off the coast of Nova Scotia. After going viral, the province's tourism office capitalized on the campaign with a link that invites website visitors to discover the island before making the giant leap. Unfamiliar with the region? Some of the island's unforgettable experiences include hiking and driving the Cabot Trail, a 297-km (185-mile) loop that features untamed Canadian wilderness and ocean-side cliffs. Other activities include whale watching and golf getaways. Another big reason to visit Canada this year? The floundering, weak Canadian dollar (or loonie, as it's called in Canada), will help the US greenback, Euro and several other international currencies stretch further this year. 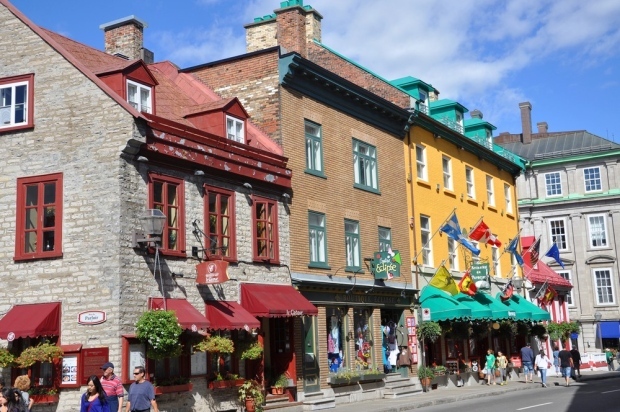 Editors over at "Travel + Leisure" magazine, for instance, crunched the numbers and estimated that US travelers will see savings of up to 10 percent off their travel to Canada this year compared to 2015. British Columbia's wine country, Okanagan Valley, also made Travel + Leisure's annual ‘Best Places to Travel' 2016 list for its “stark beauty” and sophisticated food and wine scene. An extra hot growing season in 2014 is predicted to produce among the best wines in a century, with wines ready for tasting this year. A slew of international celebrity chefs have also recognized the dynamic food and wine scene in Canada and have opened up Canadian outposts of their empires. Daniel Boulud, David Chang and Jamie Oliver are among some of the mega-watt names to have opened restaurants in Toronto over the last few years. To sample the best of Canada's burgeoning dining scene, check out the Top Restaurants in Canada 2015 list, or Air Canada's in-flight enRoute magazine's Best New Restaurants 2015 list. And finally, if you're really, truly, actually serious about moving to Canada, Gawker writer Katie Knibbs has some (cheeky) suggestions as an American who actually made good on her promise to move when George W. Bush was re-elected in 2004.